SAVE has been continuously working on the construction and implementation of a solar cooling system over the past few years. The purpose of this system is to provide air conditioning without the use of electricty. 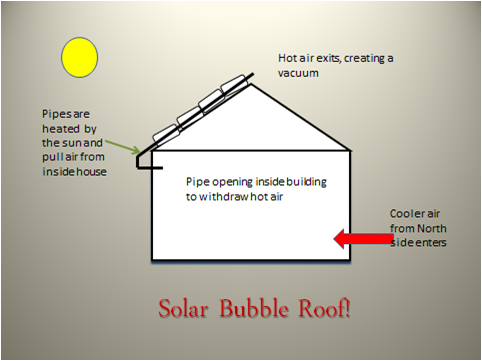 This is done by having the solar model attached to the roof with a pipe allowing the air to exit through the model and a ground pipe that draws air underground and into the building. The air in the solar model is heated significantly so that the hot air rises out of the building. This creates a suction that pulls cool air from the ground pipes into the building. Now we’ve always had this same overall idea for our solar cooling models but the design has chanced multiple times over the years depending on the project at hand. Our first design was put together by a team of 2 architects, 2 construction members, 1 environmental engineer, 3 teachers, many interested community members and students. 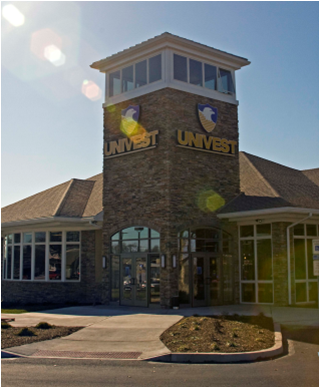 The first model was of a solar chimney mounted on the side of a small building. A shed was built by a team of students and the model was mounted on the south side of the building so that it received direct sunlight. Data was collected on multiple variables such as: air temperature, temperature inside chimney, airflow through chimney, and airflow through intake pipes. The testing showed that our idea was successful and got the attention of many different media sources. The solar chimney idea was covered by a news station and another local paper showed interest in the idea as well. Even though this model was a success it was time for a new project and new model. Our next project was creating a solar cooling system for Zwingli Church in Souderton. Our new design was called the Cupola, inspired by the church. 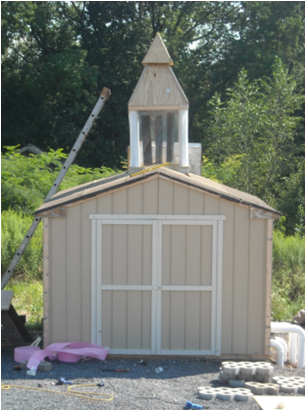 This solar chimney model was mounted on top of the shed as opposed to the side like previous models. The model was made to resemble a steeple. The function of the model was the same as previous solar cooling systems. The steeple was designed to heat the air as opposed to a solar chimney. Our team completed the design and implemented it onto the Zwingli Church, but now we had other ideas we wanted to work off of. The new design we wanted to create and implement needed to be cheaper, not use energy, and be efficient. Now we were designing a model for the people in Haiti and other developing countries around the world. Jack Althouse (our environmental architect) took up a project with people down in Haiti to build our new model onto hospital huts. Our design consists of rows of bubbles placed on the roof in organized columns. Each bubble is a Tupperware container, lined with aluminum foil on the bottom. Two downspouts connect each column of bubbles. The downspouts are placed through the containers which have holes cut out of them. Each hole is insulated with a pluming fluid to decrease the amount of warm air that can escape. The materials we used to create this model are easily found and not too expensive to purchase. This design is perfect for the small hospital huts in Haiti because the air conditioning will help with stop the spread of disease. The key difference with this model is that Haiti isn’t the only place we are trying to help. We plan on implementing this design in other third world countries. Our plan as of now is to get as much funding and media coverage as possible. Than once the words out we plan on making the model into a package that we can ship to different destinations. The package will include an instruction manual that will allow relatively anyone to construct and utilize our design. This model is our chance of making a real change in the world.